Welcome back to my CEO blog, updating you on the journey both myself and our Trust are on as we navigate today’s education climate, to transform the life chances of pupils within our care. With another jam packed week here at Thinking Schools Academy Trust, it is definitely the time of year for singing competitions. 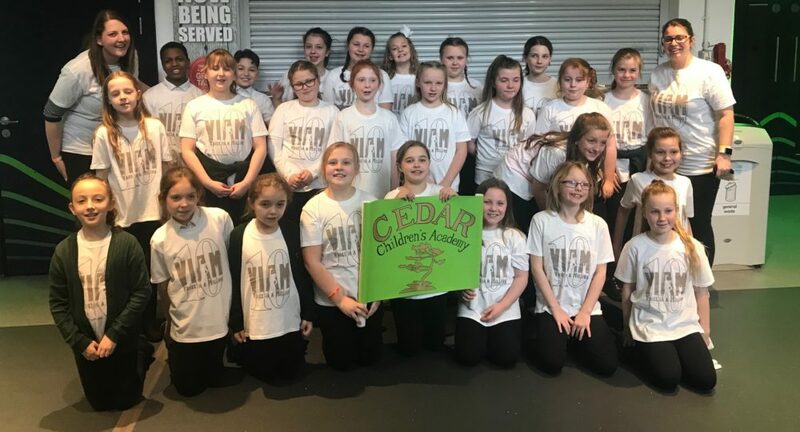 Cedar Children’s Academy, The Gordon Children’s Academy, all four of our Portsmouth Infant Schools and The Victory Academy have all been showcasing their harmonic skills at various events this week – including the prestigious Wembley Stadium! The Voice in a Million concert has been fantastic for the self-esteem of the performers. I held my termly Headteacher meeting on Tuesday 19th April, a strategic and very long day but absolutely invaluable. This was a good opportunity for us to take stock and revisit the “Why” for our organisation. I’ll be discussing this in a more detail in my end of term CEO Vlog next week – yes, I ‘Vlog’ now! Hanna Miller, our Trust Assistant Headteacher for Thinking, Teaching and Learning, (our resident ‘pro-Thinker’) also delivered a session about ‘Pedagogy’ and how to teach to achieve long term learning. I know all of the staff find Hanna so engaging when she delivers CPD and supports schools on their ‘Thinking Journey’, so thank you Hanna for sharing your enthusiasm and spark. I think a Trust record may have been broken this week too. Sara Paine, Head of School at Meon Junior School, reported in her ‘What Went Well’ to me this week that they had a practice fire drill which was competed with the whole school out in the playground, in silence and safely registered all pupils and staff in 1 minute, 30 seconds! Simon Smith, Principal at Goodwin Academy, has let me know that one of the science technicians at the school, Jolie, has been nominated for the Kent Teacher of the Year Awards within the support staff category. I think this is the fifth sixth nomination a member of staff has received for awards this year so far. So pleased to see our staff getting wider recognition for their work and commitment. Isambard and Meredith enjoyed a very productive Inset Day on Friday. With Meredith refreshing their ‘Philosophy for Children’ knowledge and Isambard learning about restorative principles and securing their medium term planning for the rest of the year. The day had the spirit of collaboration and teamwork running through, a great end to the week for those two schools. 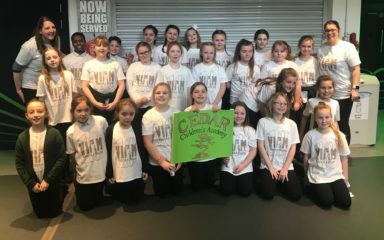 The Year 6 pupils at New Horizons are quite the multi-taskers, not only are they working incredibly hard in the run up to their SATs in May, they have also been busy fundraising this week to support their residential week in the summer. Students at Victory and Holcombe have also been busy this week fundraising for their sailing trip to Portsmouth in September. If any of you happen to walk through Strood high street between now and Easter, you may notice the window of an estate agent filled with some very colourful looking Easter eggs. The children in Reception at Gordon entered a competition and are very proud to have their creations displayed for the local community to see. The ‘Greater Depth’ writers in Year 2 at Moorings Way had the opportunity to work with their counterparts in Year 3 at Meon Junior School this week too, they loved it and can’t wait to move up to the Junior school, we all know I feel strongly about the collaborative work between schools and this is a great example of infant and juniors supporting each other. Holcombe found out this week that one of their students has made it through to the final of Medway Young Musician of the Year. The performance is taking place on 26th March – fingers crossed for Markus! Newbridge Junior School has been trialling new ways of observing lessons this week and a new Feedback Policy. I was pleased to hear of the school assessing where any areas of improvement might be and acting on this with the new trials. Students from The Rochester Grammar School received their Duke of Edinburgh awards at Rochester Cathedral this week and the European Exchange is in full swing at the school at the moment as well. All Faiths confirmed that they raised almost £1000 through their ‘Sponsored Read’ on World Book Day which will be spent on books for the school – a fantastic sum from our second smallest school in the Trust. The school also took part in a Sports Festival held at a local secondary school which saw their sporting efforts earn them 2nd place on the day and a Silver medal. There’s been lots of trips and discos taking place too this week, and Headteachers have been very pleased with the behaviour of their students at these events. This will be the last week this term that I will be able to work with students from Isambard and I know that I will miss them in the coming weeks. I am already looking forward to getting back to Portsmouth after the Easter holidays!